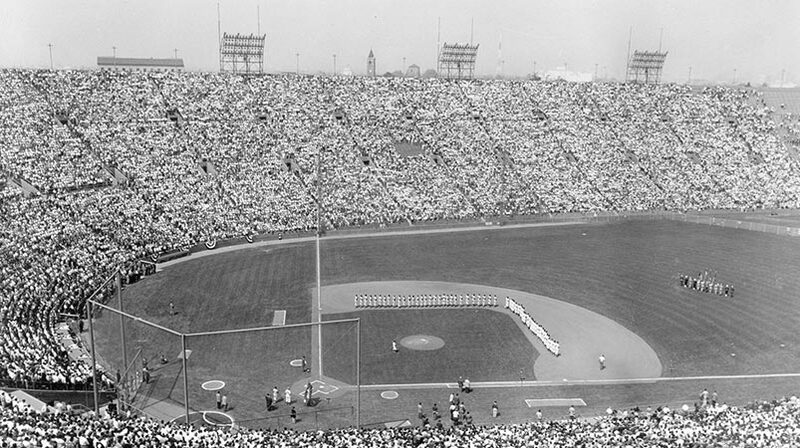 The Dodgers of 1967 could not seem to get over the major headline stories of the off-season when Sandy Koufax, the dominating left-handed pitcher of the decade, announced his retirement and cut short a Hall of Fame career due to an arthritic elbow, and speedy shortstop Maury Wills was traded to Pittsburgh. After winning the N.L. 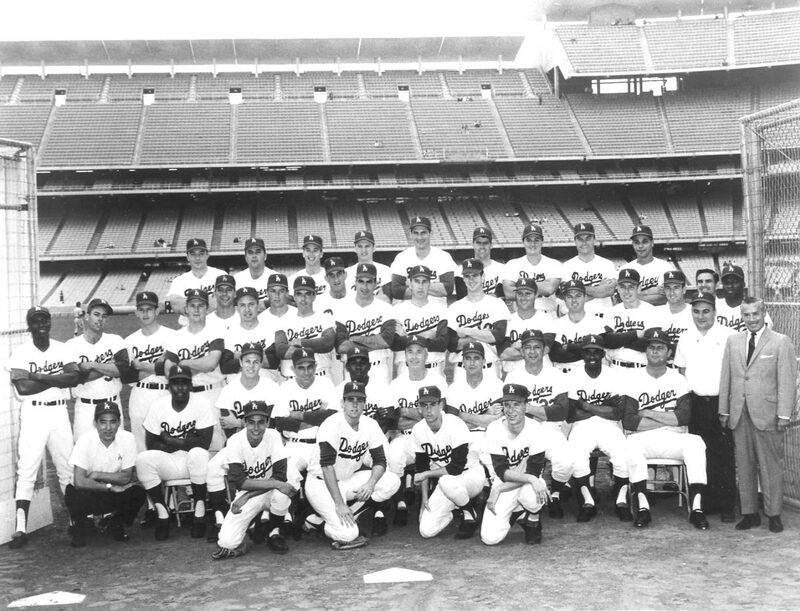 Pennants in 1965 and 1966, it was a much different and depleted Dodger team on the field in 1967 and the differences showed as they wound up in eighth place. 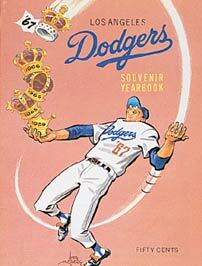 It was the worst finish for a Dodger team since the 1905 Brooklyn club finished eighth with a 48-104 record. Don Drysdale (13-16) was as dominating as usual, except the club itself scored only 15 runs in his 16 defeats. In the bullpen, Ron Perranoski led the pitching staff with a 2.45 ERA. 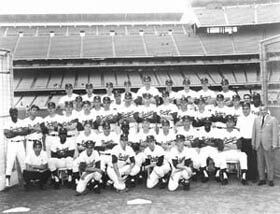 Joining Drysdale in the starting rotation were All-Star Claude Osteen, Don Sutton and Bill Singer. Singer, who had to step into the huge void left by Koufax, was a bright spot for the Dodgers, going 12-8 with a 2.65 ERA. Ron Fairly, Wes Parker, Willie Davis and Jim Lefebvre all had sub-par seasons on offense, while John Roseboro and Al Ferrara enjoyed productive years at the plate. The Dodgers won the Topps Organization Award, as a symbol of baseball’s most productive farm system. Steve Yeager was selected by the Dodgers in the June Free Agent Draft. Click image for a larger view1967 Dodger YearbookCopyright © Los Angeles Dodgers, Inc.
Click image for a larger view1967 DodgersCopyright © Los Angeles Dodgers, Inc.